You will receive an order confirmation within one business day of placing your order. Tracking numbers are posted within 24 hours of shipping. Guaranteed! Orders paid by Credit Card will be shipped to the nearest depot where you will need to show ID to pick up your package. This can delay your shipment by one day. If the name and address on your credit card doesn't match the billing name and address can also delay your order payment by one day or more. Orders paid by PayPal will ship to the PayPal verified address. If nobody is home the package will be taken back to the depot which will delay it for one day. Orders paid by eTransfer can ship to any Address you request. Get your order faster - Pay by eTransfer and ship to a business address. With any order of $300 or more. 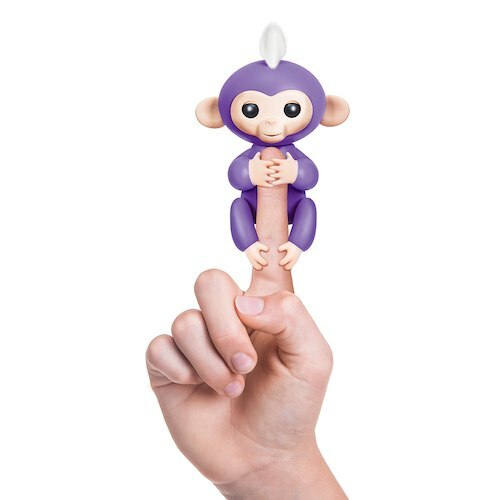 We are giving away a Free Finger Monkey with every order of $300 or more while supplies last. Don't miss out. Order now. If you order this item without placing an order of $300 or more your Free Finger Monkey will not ship. There is only one free per order, not one for each $300. If you only want to buy a finger monkey they are available for sale here. Why buy from us? 30 Day Low Price Guaranty. One Year Warranty, Canadian Owned Since 1993. A+ BBB rating. 14 Day Return Policy. 1-3 day shipping to 95% of Canada. We Care! Questions? Call us at 1-800-661-8789 or email sales@superbee.ca . All of our hoverboards come with one year warranty. Free shipping on orders over $200 to 94% of Canadian addresses. Free shipping on orders over $400 to Atlantic Canada.